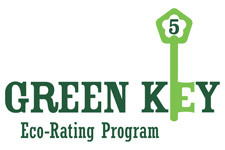 Vancouver, BC, June 1, 2015 – SilverBirch Hotels & Resorts is excited to announce five new hotel properties have been awarded Green Key designation under the globally recognized Green Key Eco-Rating Program. With the new additions, all 14 of SilverBirch’s hotels from coast to coast are now Green Key certified. The latest hotels to receive the designation are DoubleTree by Hilton™ West Edmonton, Home2 Suites by Hilton® West Edmonton, DoubleTree by Hilton™ Hotel and Conference Centre Regina, Homewood Suites by Hilton® Halifax-Downtown, and Hampton Inn by Hilton™ Halifax-Downtown. Each received four Green Key recognition for sustainable operations. The company is also excited to acknowledge that Residence Inn® by Marriott Vancouver Downtown is now boasting an impressive 5-Key rating, the highest ranking available. SilverBirch has a sustainability initiative that supports socially responsible practices that positively impact its stakeholders, the communities it operates in, and the environment so that its present needs can be met without compromising the ability of future generations to meet their own needs. This includes, among others, activities promoting waste reduction, energy efficiency, community outreach, education, and cradle to grave design. In addition, each of SilverBirch’s hotels has its own Green Team, which focuses on integrating sustainable practices into daily operations.